Former Republican U.S. Senator for Missouri Kit Bond at the podium during the launch of his newest venture, Kit Bond Strategies, on Nov. 8, 2011. 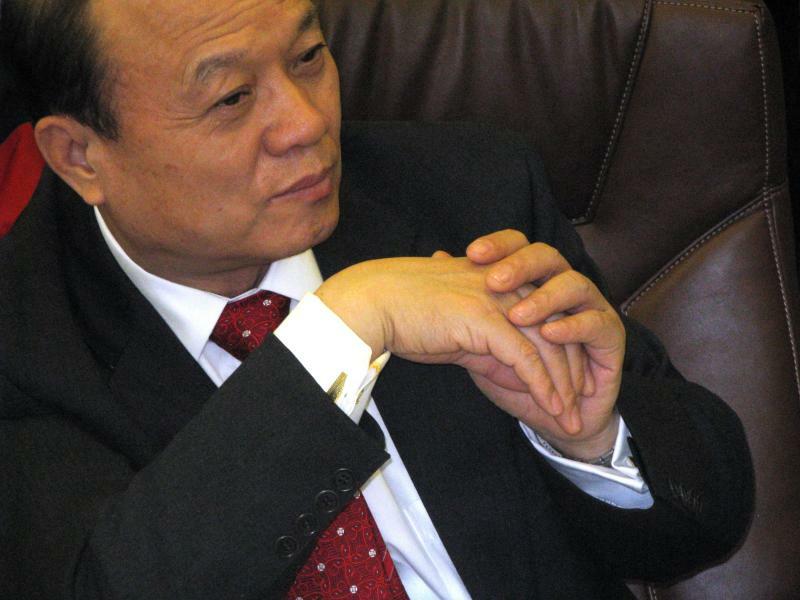 Bond will lead a delegation of St. Louis business leaders to China later in 2012. Tim Nowak, executive director of the St. Louis-based World Trade Center, says the trip is an opportunity to connect companies in Missouri with business partners, government entities and academic partners in China, which he says is one of the fastest growing export markets for the state. "China consumes 8 percent of all of Missouri's exports," Nowak said. "It has gone from roughly $50 million in exports 15 years ago, to now we will pass more than $1 billion in exports to China." 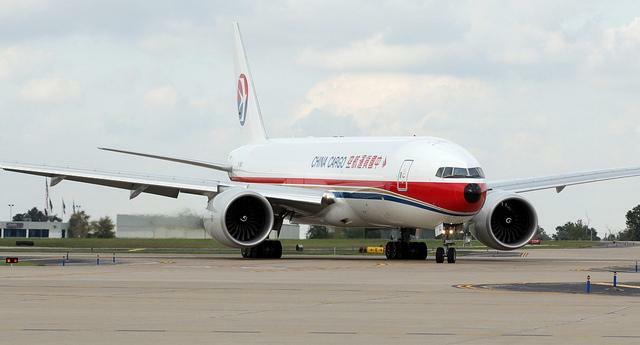 In 2011, a package of tax incentives to help create a China cargo hub at St. Louis Lambert Airport failed to gain enough support in the Missouri legislature. 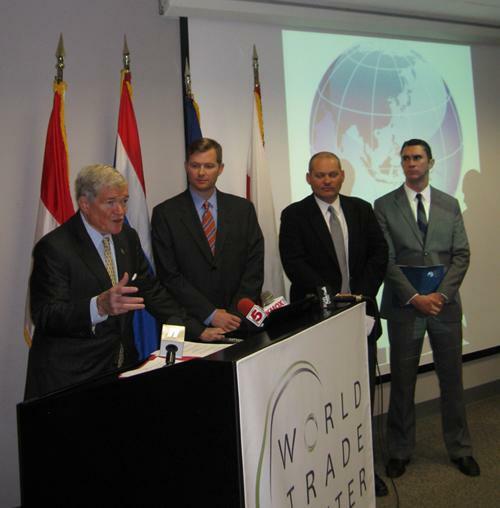 Missouri companies exported $14.1 billion worth of goods and services last year, according to new data from the World Trade Center St. Louis and the World Institute for Strategic Economic Research. That's a record level of exports, officials say - $500 million higher than the previous record, which was set in 2007. The state's biggest customers were Canada, Mexico and China, with China's consumption of goods like copper scrap, fan parts, and semiconductor devices growing another 18 percent in 2011.